Ukrainian IT Company, Brainberry Global offers the presentation of gift that speaks for itself. Kiev, Ukraine, August 27, 2015	(Newswire.com) - An uninstant video messaging service, Minute of Life launched a new feature that allows users to place their video messages on any physical objects in the real world. This is because of the augmented reality technology that makes it possible to view the videos right on a coffee cup or a bottle of wine or any other thing. This makes an original gift idea where the message can be applied directly to the present that the person receives. 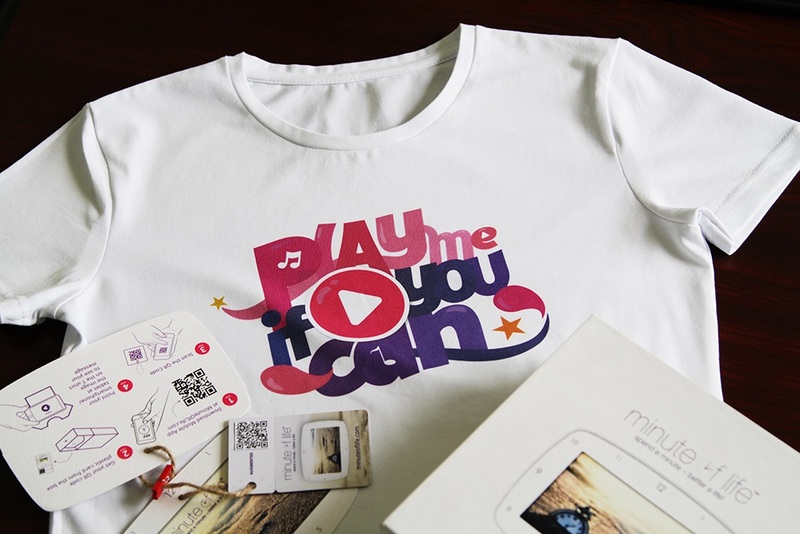 The gift recipient will be able to view the video clip using an application on a compatible mobile device. Just imagine that you could record yourself saying "Happy Birthday" or “I Love You” to a special person and place this video on a T-shirt? SEE HOW IT WORKS IN 3 SIMPLE STEPS! (You can find the QR Code and the Marker at the picture attached to this article). 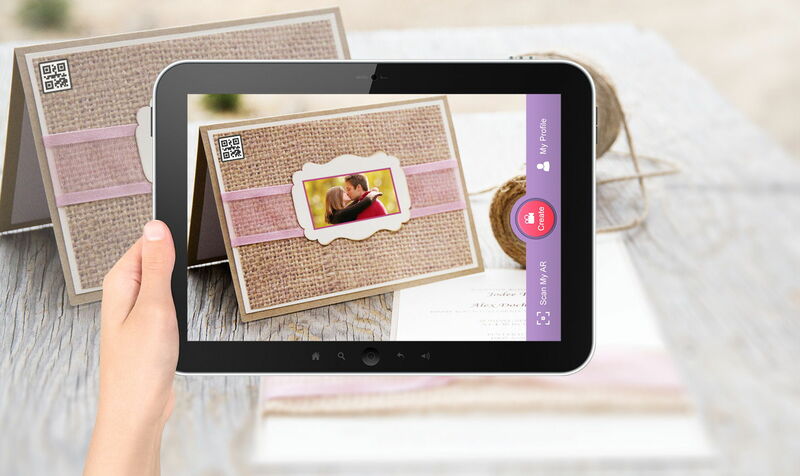 To create an Augmented Gift you need to upload or record the video message at minuteoflife.com and then select a marker - this is a simple image the recipient will scan using the Minute of Life app on a mobile device's camera to view the content of the message. 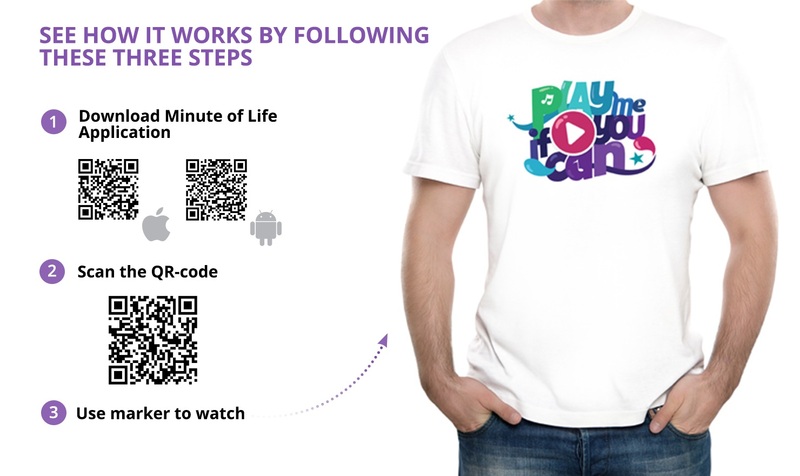 Minute of Life offers its users a wide range of markers, which can be applied to T-shirts (both male and female). Once the message has been crafted and the marker chosen, the user can enter the recipient’s data and send the present with the integrated Augmented Reality message on it. The recipient will get it in a cute box with instructions how to watch the video. Ruslan Fedorenko, CEO of Brainberry Global believes that Minute of Life is revolutionary, but at the same time a very simple way to present and congratulate friends, family, colleagues and loved ones in two clicks. “First, choose a gift and then add your personal video message that will be viewable on the gift. So, the gift will "speak for itself" in the literal sense of the expression. Augmented reality gives a greater possibility to create valuable messages for different occasions in your life”, - explains Ruslan Fedorenko. Visit minuteoflife.com to get more information and to create your own Augmented Reality Message. 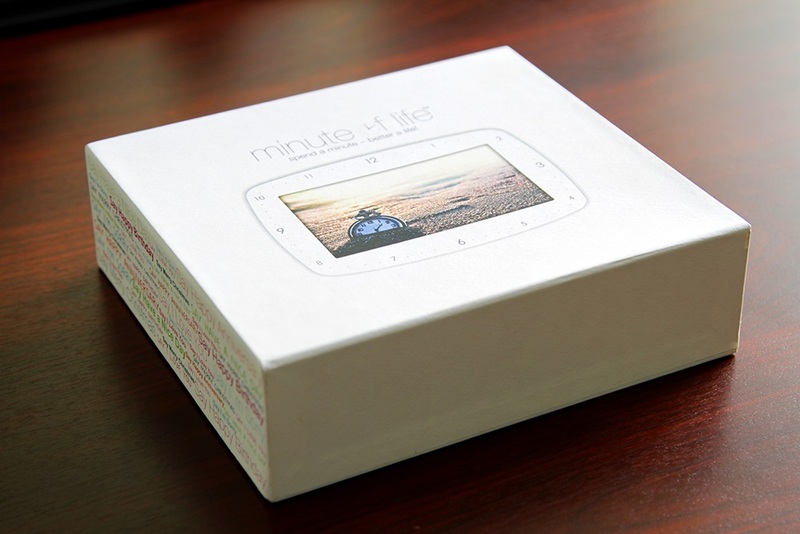 Minute of Life beta version was launched in October 2014 and at first it functioned as a service of future video messaging. This idea finds its audience in the countries of Latin America, South Africa and Turkey. In less than 5 months the users of this service created over 141, 000 minutes of content: birthday and anniversary greetings, love confessions and even apologies. The project belongs to Brainberry Global, a Ukrainian IT Company that has its offices in Canada and Cyprus and is focused on start-ups in the digital field.